Hello everyone!! It's Bee here - I hope you're all doing great! 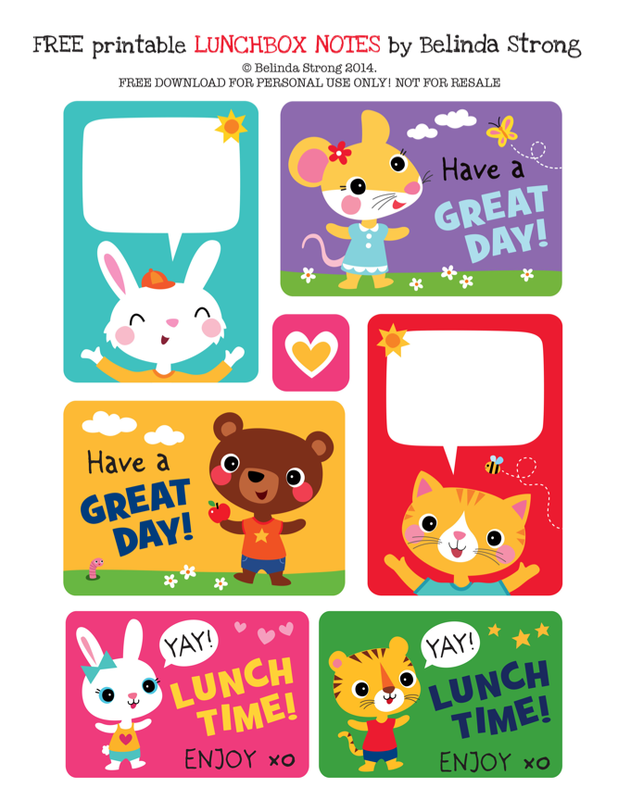 It's my turn to get creative this week, so I've made some printable lunchbox notes for you. Some have a message, and some have a space for you to write your own. I hope you enjoy popping them into lunchboxes to surprise your little ones (and not-so-little ones!) at lunch time. Wow, school is already in full swing in my neck o' the woods, and I can feel the crispness in the air coming back. I hope you're all enjoying the end of August and wish you and all the kids out there a happy and productive school year ahead! Hello there, Julissa here! 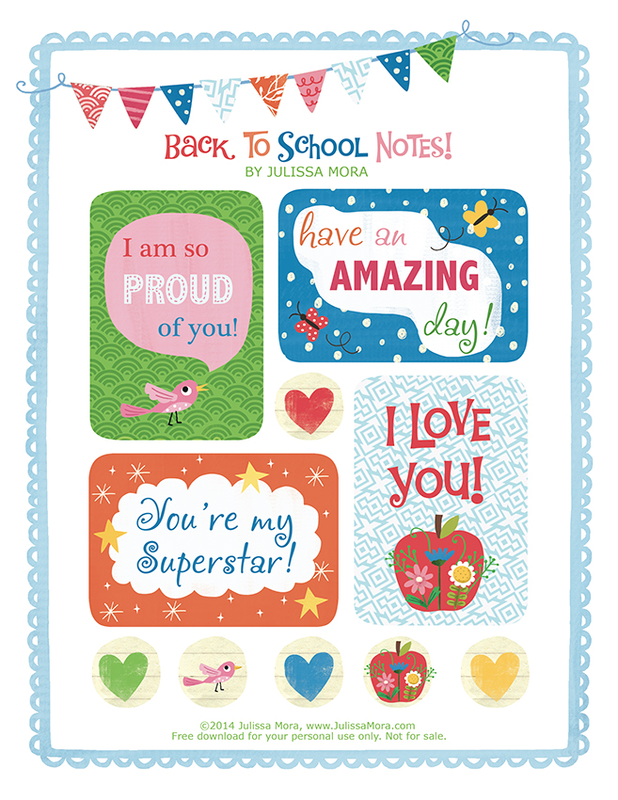 It's our third week of FREE back to school printables. These encouraging sayings are inspired by my fiancé. Occasionally he'll hide sweet little notes around my workspace. I love finding them! They always brighten up my day. Have fun slipping them into your kid's lunch bag, placing them on your co-worker's desk, or hiding them somewhere for your sweetheart to find. You can download them here! Hello, Jennifer here! 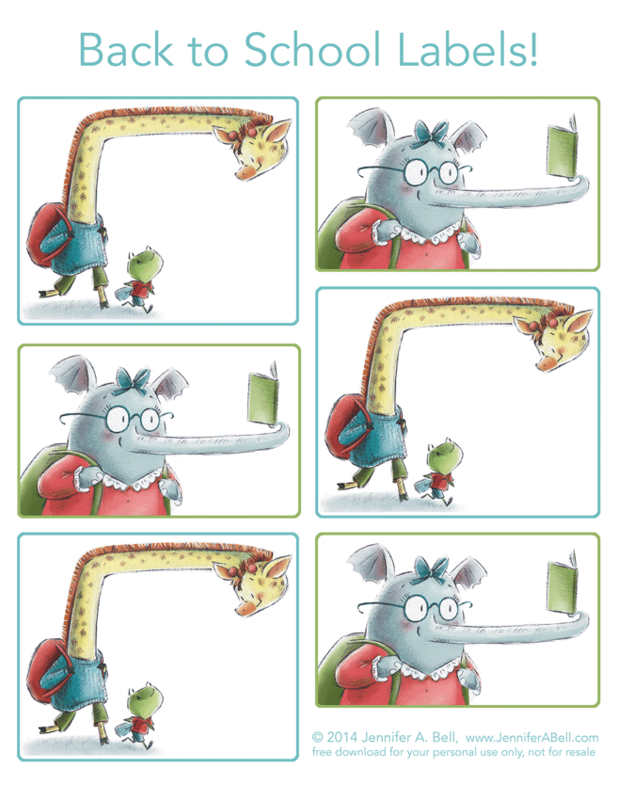 It's our 2nd week of FREE back to school printables and since it's my turn I thought I'd make some big silly labels. You can download the full sheet here.